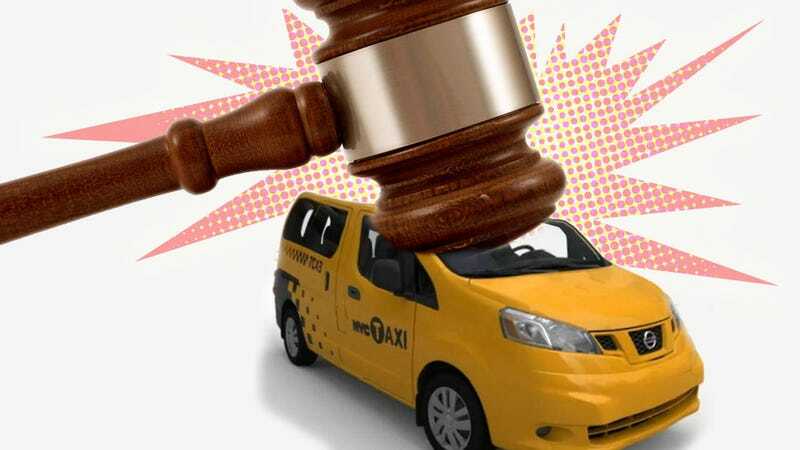 A Manhattan Supreme Court judge has ruled that New York's Taxi and Limousine Commission overstepped their authority when they mandated that all NYC cabs be Nissan's NV200-based New York Taxi. After October 28, all non-hybrid cabs in New York will become illegal, so those New Yorkers better figure something out, pronto. "Simply stated, the power to contract and compel medallion owners to purchase the Nissan NV200 from Nissan for 10 years does not exist in the City Charter." Taxi drivers in the new York Taxi Workers' Alliance aren't happy with the ruling, as having one common model of cab to buy allowed them to get the unit price lowered via collective purchasing, and they were able to negotiate an impressive 150,000 mile warranty. Nissan will be selling the cabs to drivers/operators who want one, exclusivity or no, so it's likely New Yorkers will be seeing these on the streets very soon. Still, the lack of an exclusive deal could be just the thing needed to get some great new modernized Checkers back out in service.